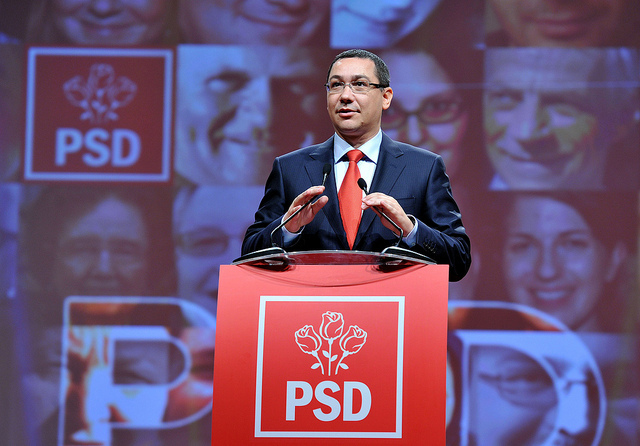 Romania’s ruling coalition splintered Thursday (27 November), as an ethnic Hungarian party announced it would leave Prime Minister Victor Ponta’s government, after Ponta suffered an embarrassing defeat in a presidential election earlier in November. The departure of the UDMR party (Democratic Union of Hungarians in Romania), which joined the government in early 2014, will weaken Ponta, but still leaves his ruling alliance with a 60% majority in parliament. The announcement partially fulfills a prediction by incoming President Klaus Iohannis, who on Tuesday said lawmakers could start abandoning Ponta’s coalition in the coming weeks and months to bring down the government next year. It is unclear at this stage whether other parties or individual MPs are tempted to follow suit. Iohannis, an ethnic German mayor who is backed by two centre-right parties, inflicted a shock defeat against Ponta in the presidential election. Ponta ruled out resigning following his defeat and said his coalition was stable. “We did the math … and even without us the government has enough of a majority in parliament. We understood the message from the voters in the presidential elections,” UDMR leader Hunor Kelemen told reporters after a party meeting. Dnevnik, EURACTIV partner in Bulgaria: ???????? ?? ????????? ??????? ????????????? ???????? ? ?????? ?